This drastic step is taken in view of the approaching Gandhi Jayanti, which is the deadline for making urban areas open defecation-free. If you thought you could answer the nature’s call in a natural setting in Jharkhand, you might have to bear its consequences. According to a report in the Indian Express, the Ranchi Municipal Corporation (RMC), in order to stop people from defecating in the open, is taking some drastic and desperate measures. 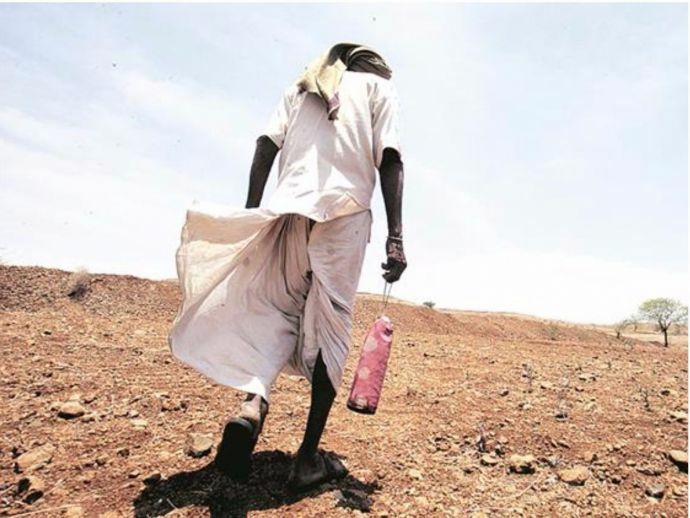 On Sunday and Monday, teams of officials first took away the lungis of those flouting rules against open defecation and in some cases, made them walk a long distance home as punishment, along with a fine of Rs 100. Jharkhand Urban Development and Ranchi MLA Minister C P Singh told the newspaper, "This is not aimed at harassing people. The idea is to create some sort of deterrence." Talking about this unique initiative, Municipal Commissioner Shantanu Agrahari said, "Public ostracism is often a good deterrence." The initiative would continue till 2nd October. The Ranchi mayor, Asha Lakra, however, expressed her disapproval about the technique and also said that no official orders have been issued regarding this drive. Last year, the Jharkhand Chief Minister, Raghubar Das, had said that the entire state would be open defecation free by 2018. At the time, 12.71 lakh toilets had been constructed. "It is a matter of stigma. We have taken a pledge to remove this stigma," Das had said. According to municipal officials, a total of 31,559 toilets have been constructed as part of the ODF campaign. “The construction part is over. Most of them also have the water supply. It is our responsibility to ensure water supply in all the toilets… That process is going on at a fast pace. The priority area will be the slums, where community toilets have been constructed,” said an official. Let us hope that this unique drive by the RMC is successful!